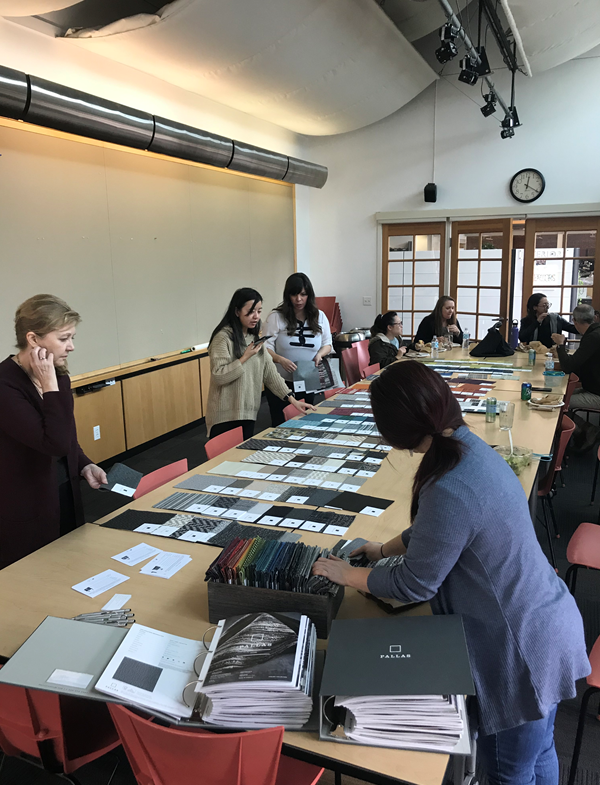 This week, the Lionakis interior design team in Sacramento was invited by a Pallas Textiles representative to take part in a handbag making charette. 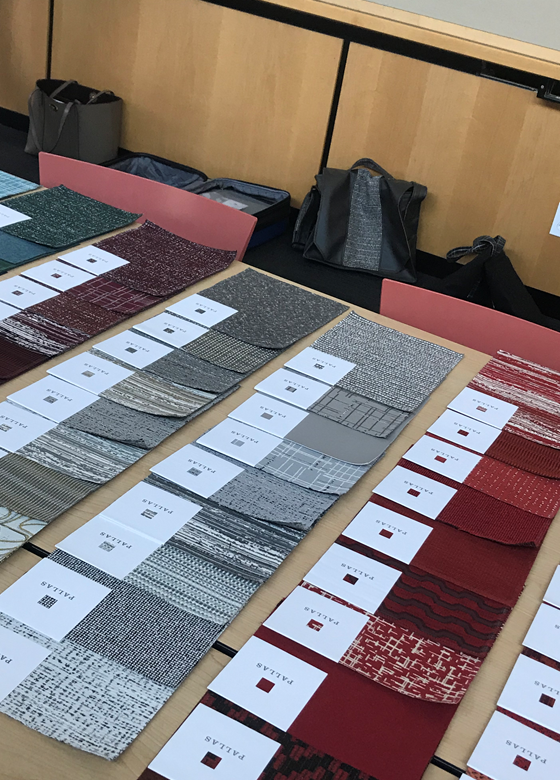 Opinions and ideas were shared on what fabrics went well together on each bag, and every interior designer was able to take part in making a bag their own. 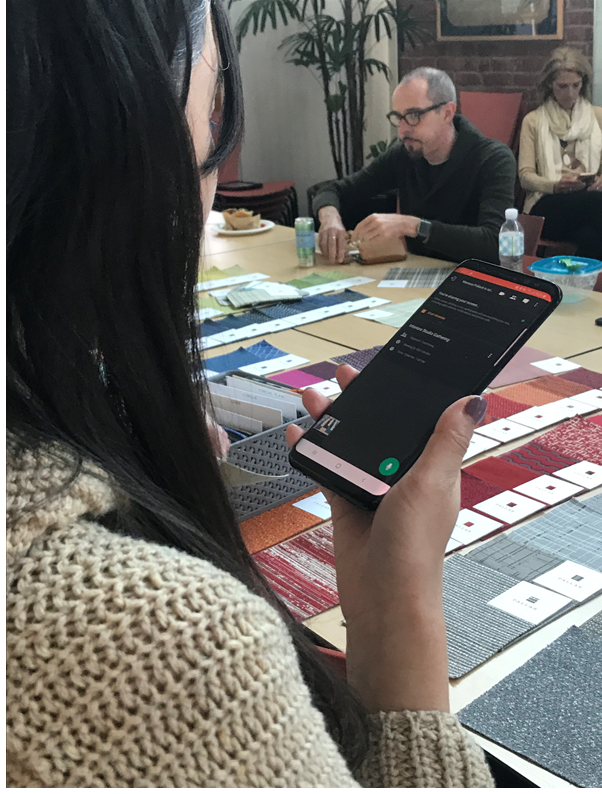 Our regional offices were also able to be involved in the charette via video conferencing on a smart phone where they got to see the various versions of the pre-made bags and how the fabrics were laid out on each one. 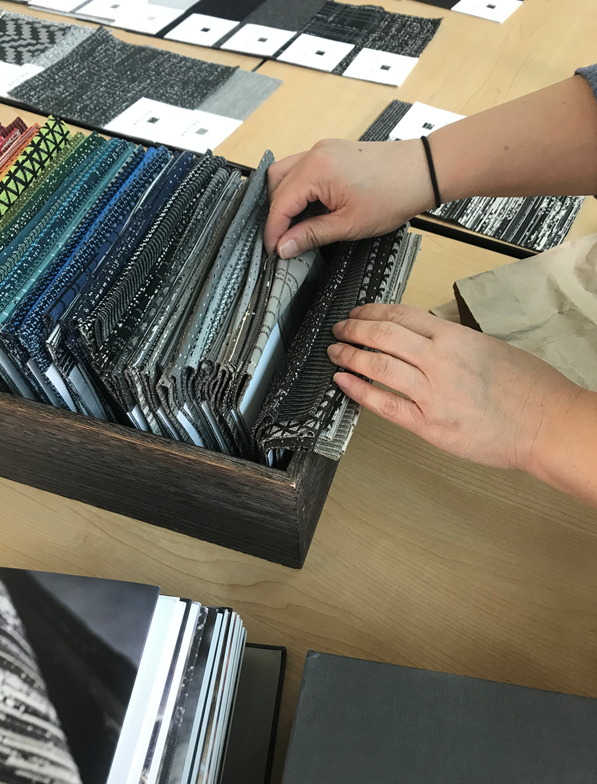 The Lionakis regional offices in Hawaii and Newport Beach also physically had the fabrics available to them and were able to feel the texture and see the colors before they made their choices. 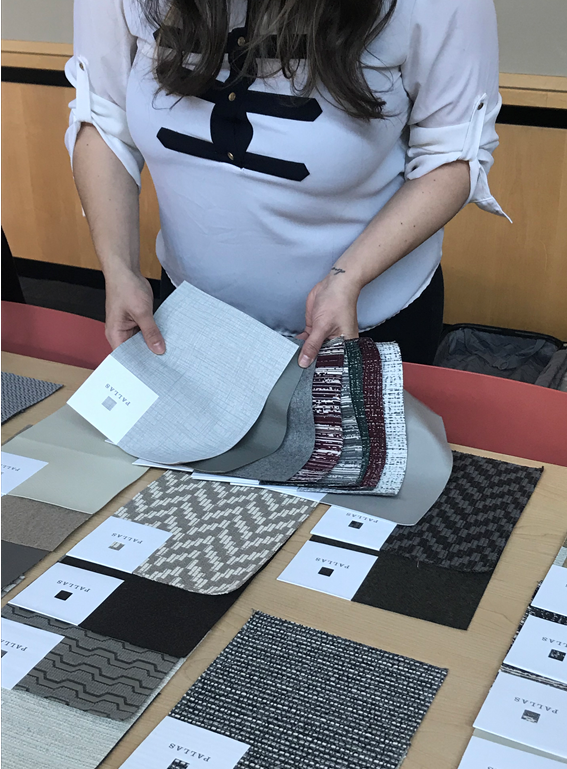 The Pallas Textiles representative has collected the information on each designer’s desired combinations and will be sending them in to have them made. 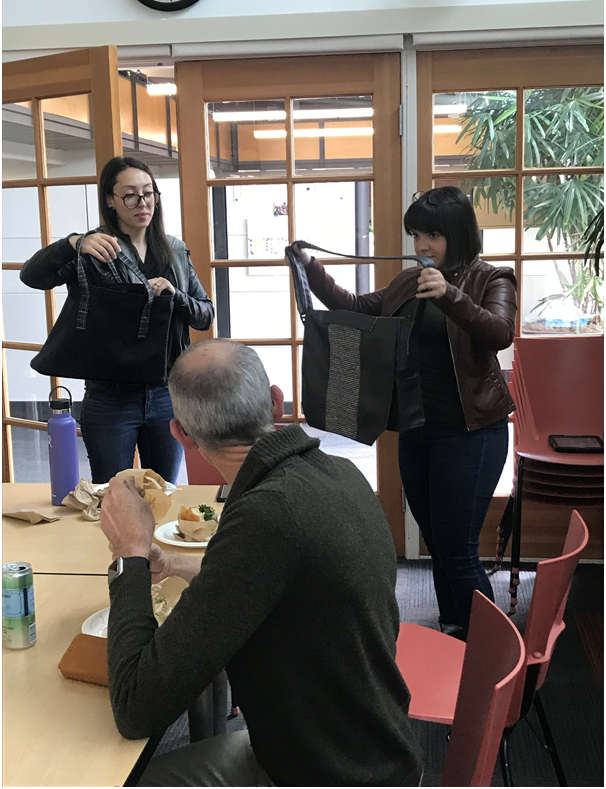 Thank you to Pallas Textiles for hosting this event where our designers were able to put their everyday creativity into a fashionable keepsake that can be used and worn daily!